Julius Nepotianus, sometimes known in English as Nepotian, was a member of the Constantinian dynasty who reigned as a short-lived usurper of the Roman Empire. 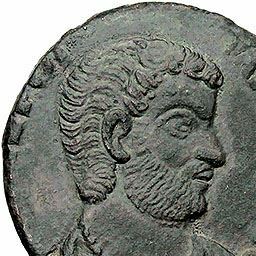 Nepotianus was the son of Eutropia, half-sister of Emperor Constantine I, and of Virius Nepotianus. On his mother's side, he was the grandson of Emperor Constantius Chlorus and Flavia Maximiana Theodora. After the revolt of Magnentius, Nepotianus proclaimed himself "emperor" and entered Rome with a band of gladiators on 3 June 350. He ruled the city of Rome for twenty-eight days, before being killed by his rival usurper Magnentius' general Marcellinus.